For years, cotton sheets and cotton-based bedding material has been the only option available to you when putting your bedroom together. While this material can be luxurious, is it really the best you deserve? Breakthroughs in technology have opened up the doors to a whole new world of incredible fabrics for you to utilize for your bedding, one of the best being rayon from bamboo. 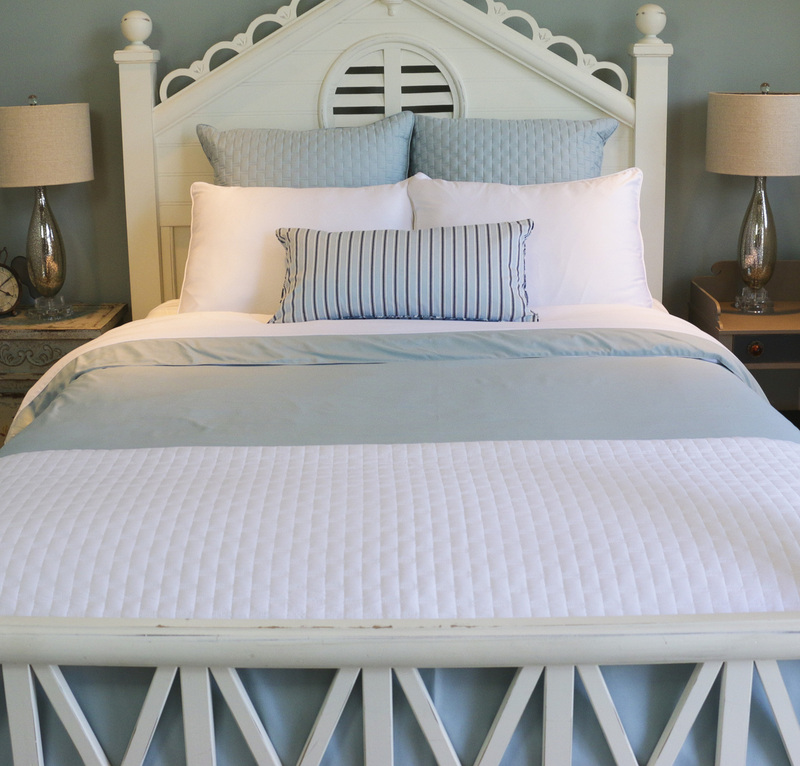 This one of a kind fabric is arguably the best all-around option available on the market today, and BedVoyage is the vendor leading the charge for a better night's sleep with their extensive selection of world-class bedding options. What is Rayon from Bamboo? with the same comfort in a vastly healthier option for both you and the environment. Our bedding is made completely from rayon derived from 100 percent organically grown bamboo. What is rayon, you ask? This chemical-free fiber is pulled from the organically grown bamboo to provide you with a completely safe and comfortable material to sleep on. To teach you a little bit more about our rayon from bamboo sheets, we will introduce you to the process in which this organically grown bamboo goes through to produce the world class bedding products we have to offer. Using only 100 percent organically grown bamboo, the stalks are harvested and ground down into bamboo chips. Once this is finished, they are then mashed into a pulp and processed into a chemical-free fiber. Once the bamboo reaches this form, it is then spun into yarn and woven into a fabric that can be used to make the BedVoyage rayon from bamboo bedding. What makes rayon from bamboo so revolutionary in the bedding material industry is its overall safety. These bedding products have been certified by the Testex Zurich to meet the official Oeko-Tex Standard 100 and are produced in the largest home textile factory in China which uses a recycled solvent in the transition phase from bamboo stalk to fiber, significantly reducing factory emissions. So why should you choose rayon from bamboo bedding over traditional cotton? First off, BedVoyage offers some of the highest thread counts of rayon from bamboo linens available on the market today, at incredible prices. Rayon from bamboo fibers are also some of the healthiest you can sleep on today. Bamboo fibers are naturally hypo-allergenic, thermal regulating, moisture wicking, and odor resistant. If you struggle finding the right temperature at night or suffer from severe allergies, there is no better option for you on the market today than bedding options from BedVoyage.